Wednesday evening is always kind of a conundrum. On the one hand, we’re midway through the week, exhausted and ready for the weekend. On the other hand, we are hit with the realization that- wow the week is going by fast. The prior weekend is a distant memory and it’s time to start planning for the upcoming weekend already. The house is starting to show wear and tear from the hectic week. Time to slow down, enjoy some family time and a healthy home cooked meal. 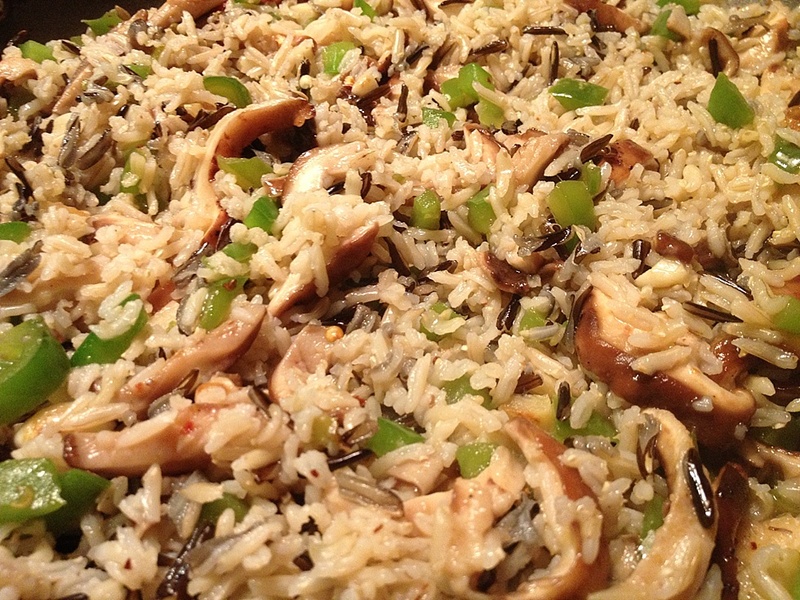 This wild rice and mushroom pilaf is great on its own. 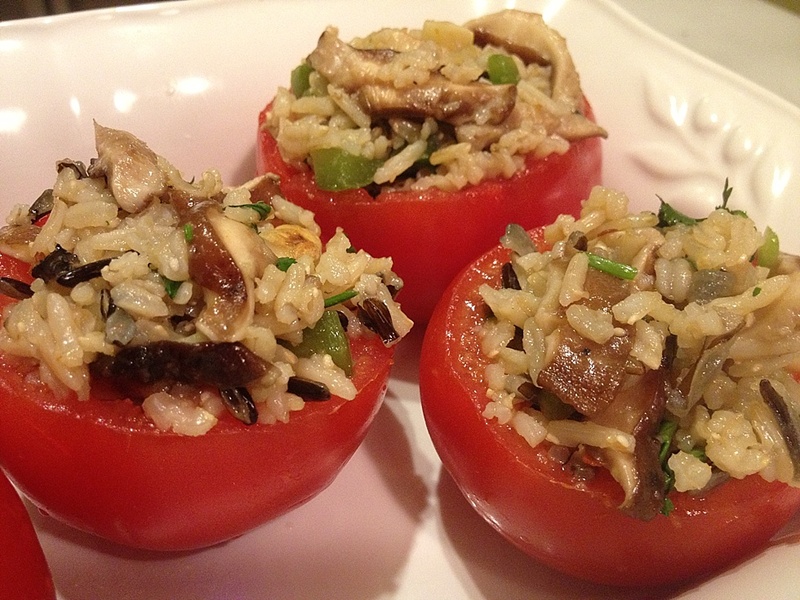 For an extra boost of flavor and a nice presentation, stuff it into hollowed out tomatoes and roast in the oven. 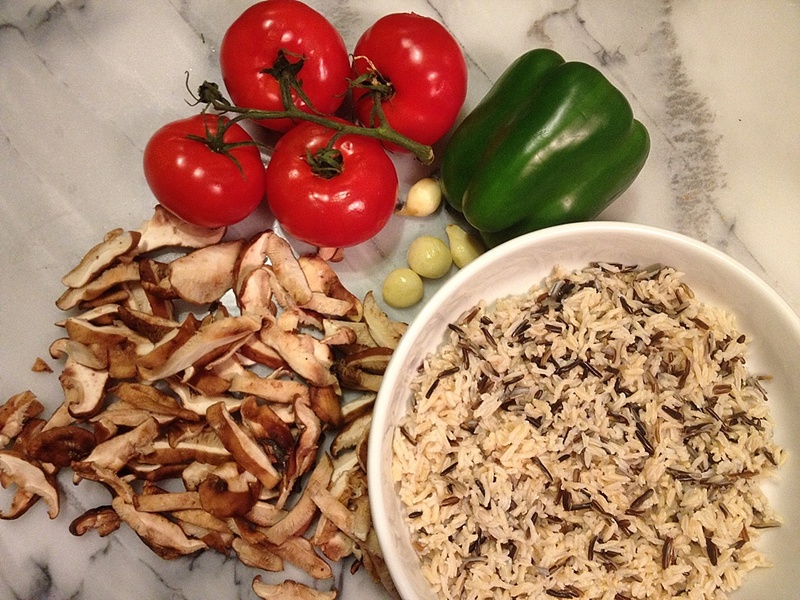 Cook the rice well and set aside. Heat a skillet with 2 teaspoons olive oil. 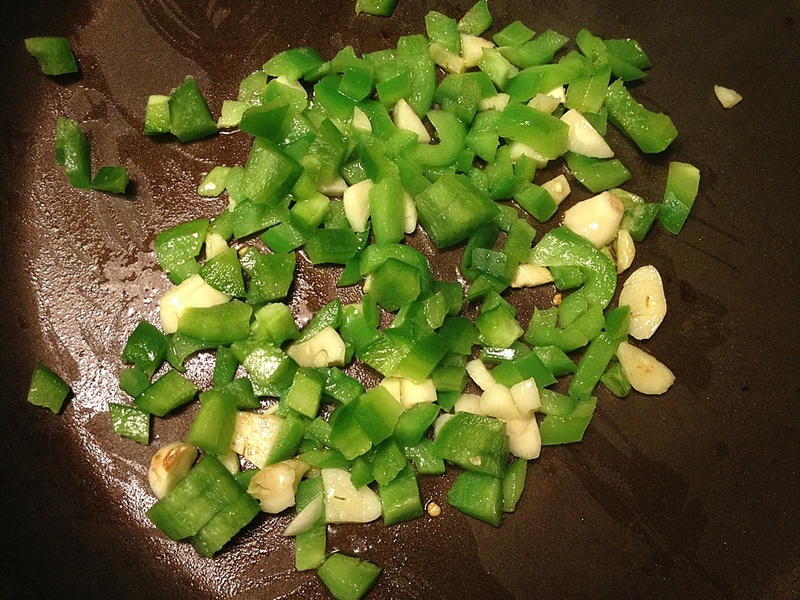 Add the garlic and green peppers. Stir and cook for a few minutes until the garlic browns slightly. 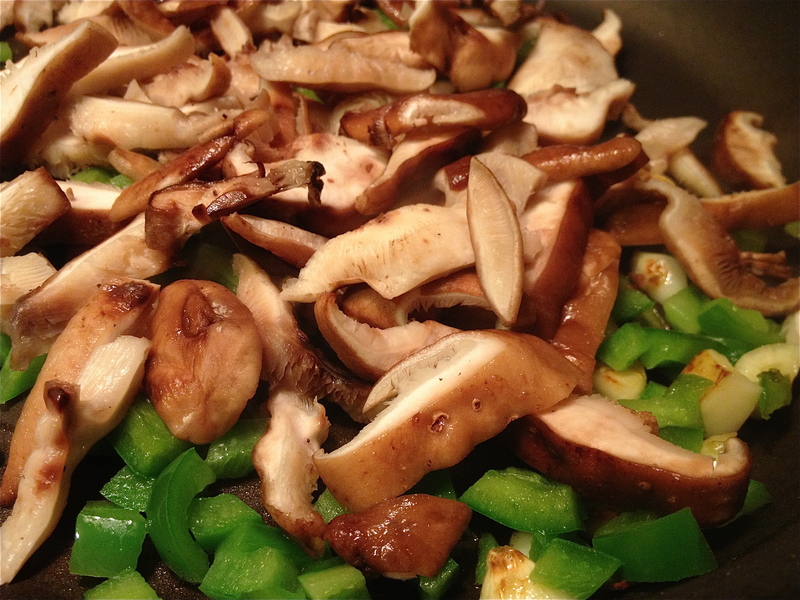 Add the mushrooms, mix and cook for about 5 minutes. 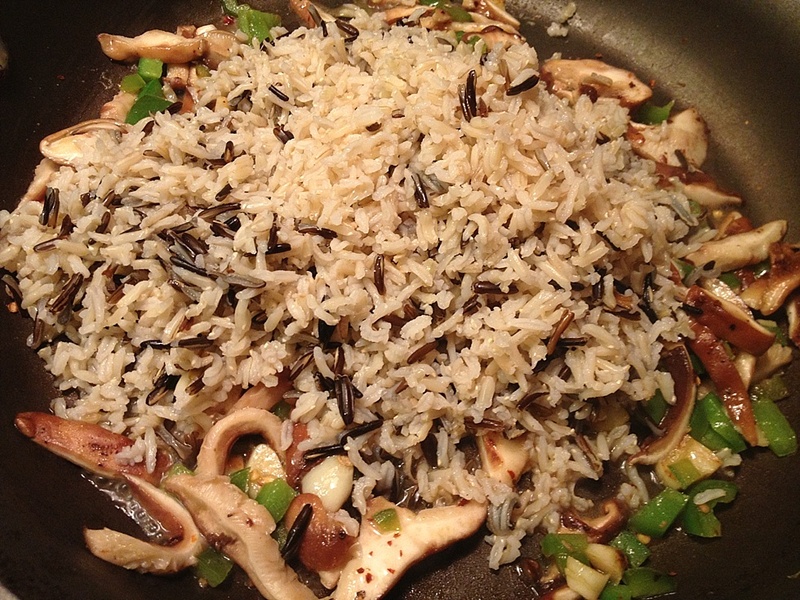 Stir in the rice, chile flakes and salt to taste. 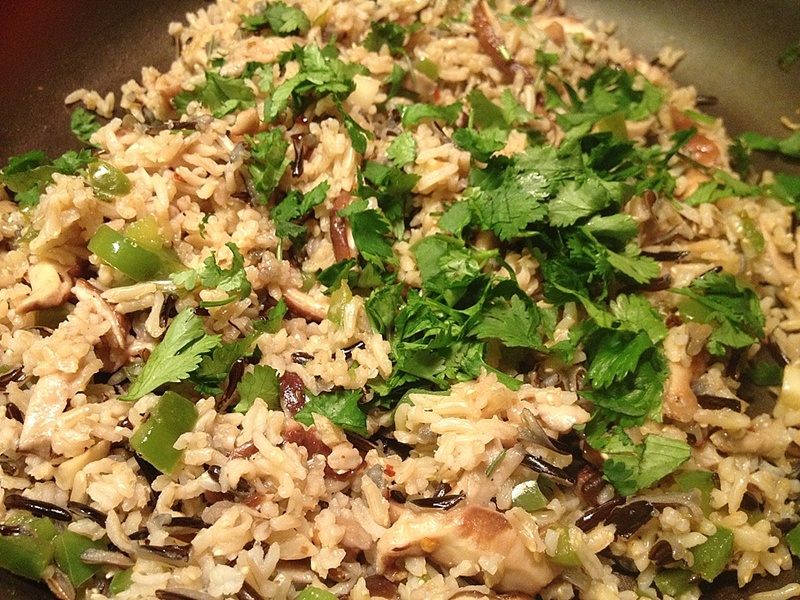 Add the cilantro (or mint) and set aside. Prepare the tomatoes by slicing off the tops and removing the core (do not cut the bottom of the tomato). 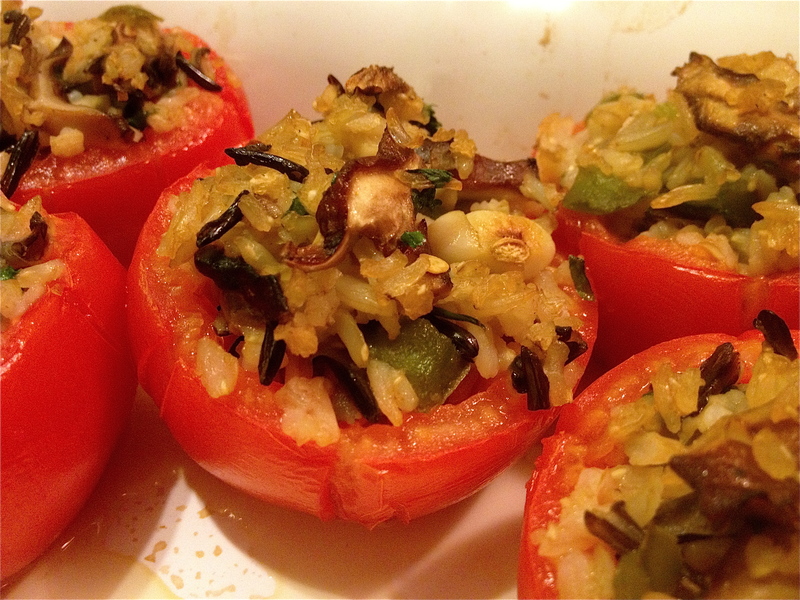 Stuff the tomatoes with the rice mixture. I made only 5 so had a lot of rice leftover. Don’t bake more tomatoes then you will need that day. 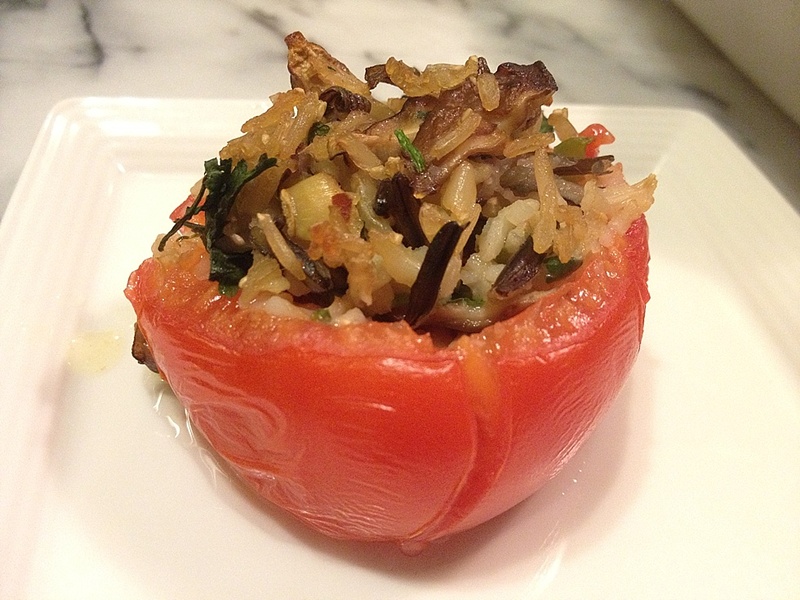 You can save refrigerate the rice and make more stuffed tomatoes another day. 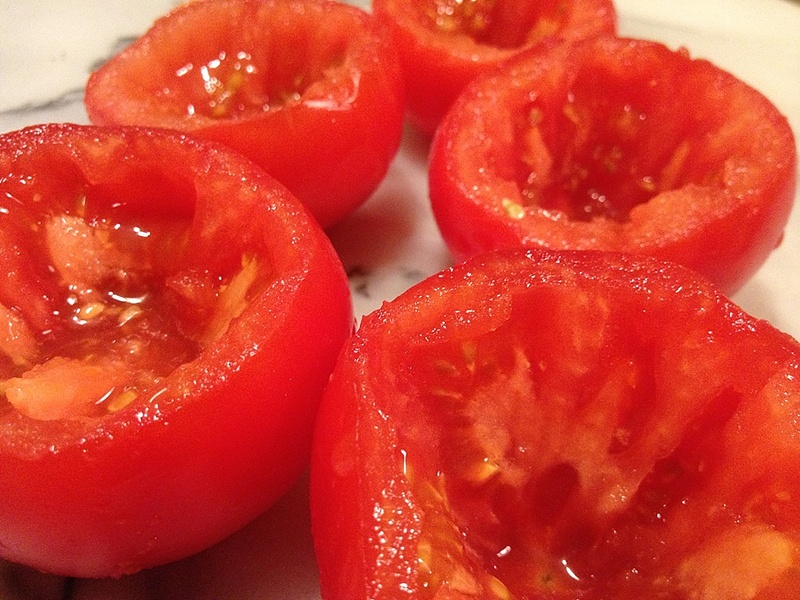 Bake for about 20 minutes- until the tomato has softened without becoming mushy.